I need your help. 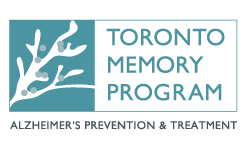 I’m raising money to help make Toronto a more dementia-friendly city. I am participating in the Walk for Memories to make that happen. By making a donation to me today, you are helping the Alzheimer Society of Toronto provide supportive care, educational programs, and fund innovative research. Please consider making a gift and help make this city better for those living with dementia and their families.